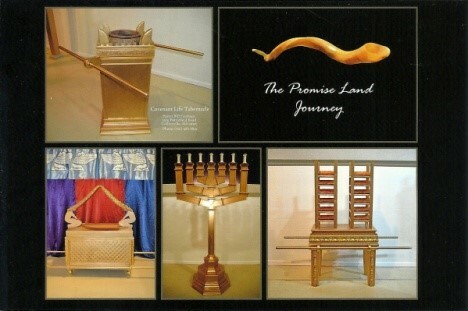 When you come to visit, you will see a life-size replica of Moses’ tabernacle furniture. The importance of each piece will be explained, showing Jesus in each piece. The gospel message will be given at the cross. You will be able to view a replica of the tomb where Jesus was laid. There are two models; one showing Jerusalem in the time of Jesus, and the other showing the landscape of the area promised to God’s chosen people, Israel.